Athens, Ga. – Nine University of Georgia faculty members will sharpen their leadership skills as members of the second class of the university’s Women’s Leadership Fellows Program. The 2016-2017 cohort, which includes representatives from eight schools and colleges as well as the Division of Student Affairs, will attend monthly meetings where they will learn from senior administrators on campus as well as visiting speakers from academia, business and other fields. The program, which was created in 2015 as part of the university’s Women’s Leadership Initiative, also features a concluding weekend retreat in June for more in-depth learning. • Phaedra Corso, UGA Foundation Professor in Human Health in the College of Public Health and associate director of the Owens Institute for Behavioral Research. 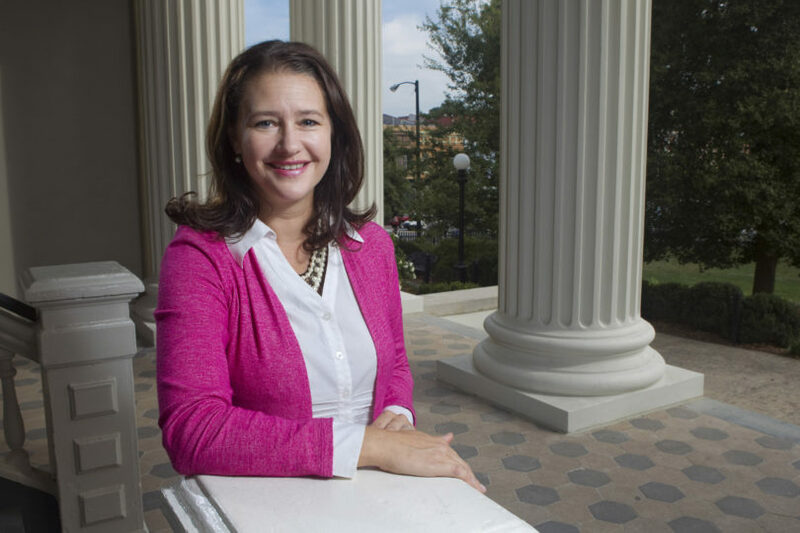 Corso is a two-time recipient of the College of Public Health’s Outstanding Teaching Award and a recipient of the UGA Creative Research Medal, among other honors. Her research involves the economic evaluation of public health interventions, primarily in the areas of violence, substance use and childhood obesity prevention. • Lisa Donovan, Distinguished Research Professor and head of the department of plant biology in the Franklin College of Arts and Sciences. Donovan is a Fellow of the American Association for the Advancement of Science and the American Association of University Women. In addition, she is a recipient of the UGA Creative Research Medal and the Stebbins Medal from the International Association for Plant Taxonomy. Her research interests involve plant evolutionary ecophysiology. • Shelley B. Hooks, associate professor in the College of Pharmacy. Hooks is currently serving as interim director of the UGA Center for Drug Discovery, as well as graduate coordinator for the department of pharmaceutical and biomedical sciences. Her research involves the molecular mechanisms that regulate cell function and how these signaling mechanisms go awry in cancer and central nervous system disorders. • Charlotte Mason, the C. Herman and Mary Virginia Terry Chair of Business Administration and head of the marketing department in the Terry College of Business. Mason also is director of the Coca-Cola Center for Marketing Studies. She is a recipient of Terry College’s Outstanding Faculty Service Award and was named MBA Teacher of the Year in 2010, among other honors. Her research focuses on marketing analytics and customer relationship management. • Shari Miller, associate dean and associate professor in the School of Social Work. Miller is a recipient of the Richard B. Russell Award for Excellence in Undergraduate Teaching and has been named the Bachelor of Social Work Teacher of the Year four times, among other honors. Miller’s scholarship focuses broadly on social work education and the workforce with specific areas including self-care, professional socialization, interdisciplinary and inter-professional educational innovation and practice, and theory development. • Julie Moore, professor of infectious diseases in the College of Veterinary Medicine and associate vice president for research. Moore also directs the NIH-funded Post-Baccalaureate Research Education Program (PREP@UGA) and is a member of the Center for Tropical and Emerging Global Diseases. Her research in the field of malaria pathogenesis is nationally recognized, and she is a recipient of the UGA Creative Teaching Award. • Erin Richman, director of academic partnerships and initiatives in the Division of Student Affairs. Richman is an adjunct professor of psychology in the Franklin College and an affiliate faculty member in the Institute for Women’s Studies. Richman manages the Pillars for Student Success initiative, which aligns with the experiential learning initiative at UGA, and created the Student Affairs Faculty Fellows Program to increase partnerships for research and extracurricular programming. • Lori Ringhand, associate dean of academic affairs and a J. Alton Hosch Professor of Law in the School of Law. Ringhand is a two-time recipient of the school’s highest teaching honor, the C. Ronald Ellington Award for Excellence in Teaching, and the former faculty director of the Georgia Law at Oxford study abroad program. She is a nationally recognized Supreme Court scholar. • Sheneka Williams, associate professor in the College of Education. Williams is program coordinator for the educational administration and policy program and associate director for policy and advocacy of the University Council of Educational Administration, a consortium of higher education institutions committed to advancing the preparation and practice of educational leaders. She is a two-time recipient of the university’s Sarah Moss Fellowship. Williams’ research focuses on equitable educational opportunities. The Women’s Leadership Fellows were chosen from nominations from deans and other senior administrators as well as from self-nominations. The program is administered by the Office of the Senior Vice President for Academic Affairs and Provost and coordinated by Meg Amstutz, associate provost for academic programs. The Women’s Leadership Fellows Program is a part of the Women’s Leadership Initiative, which was launched in spring 2015 by Morehead and Whitten. In addition to creating new opportunities for leadership development, the initiative is addressing recruitment, retention and hiring as well as work-life balance. To learn more about the Women’s Leadership Fellows Program, see https://t.uga.edu/1Mi.